Window Cleaning: Quality Window Cleaning | Salem Business Builders Inc.
About Our Business: Serving the Salem-Keizer area with over 4 years of experience. 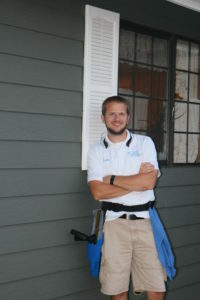 Residential and commercial window cleaning, gutter cleaning, siding cleaning. We offer free on-site estimates for all services, including a walk through of the location to answer any and all questions. Ideal Client: Anybody looking to build a relationship with their window cleaner who falls into the following categories: 1) He or she needs any or all of the services Quality Window Cleaning provides, and 2) He or she is willing to give positive recommendations to their friends and/or family members.